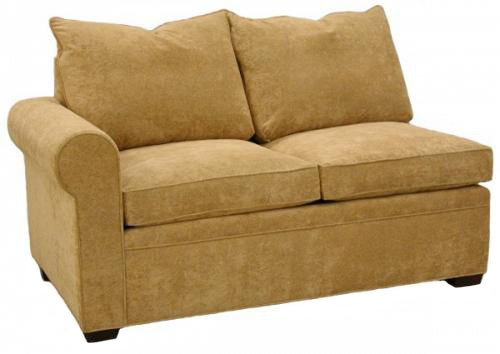 Byron Sectional Twin Sleeper Sofa Left Facing. Be sure to click on the Dimensions tab to see dimensions and our measuring guide. Create your own custom sectional furniture. Choose any style and configuration, large or small. Thousands of fabrics. Cushion options. Customize it! Free shipping. Quality construction. Carolina Chair American made furniture.